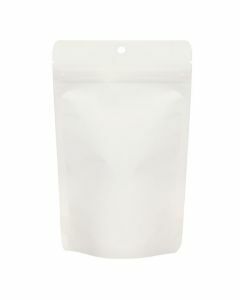 Our ZBGEO7W White Kraft Stand Up Zipper Pouch with Oval Window is an excellent choice for eco-friendly packaging. 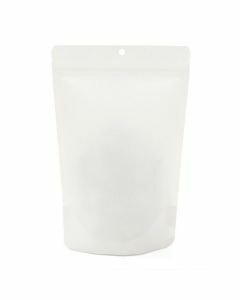 The ZBGEO7W pouch measures 5 7/8" x 3 1/2" x 9 1/8" and holds 6-11 oz/170-312 g. This pouch has a clear oval window to showcase coffee, candy, grains, pet treats, and more. 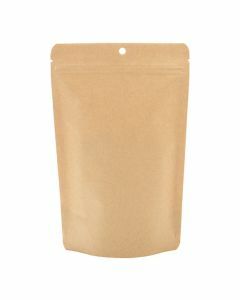 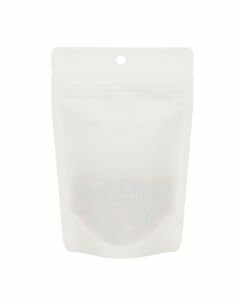 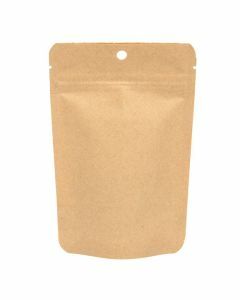 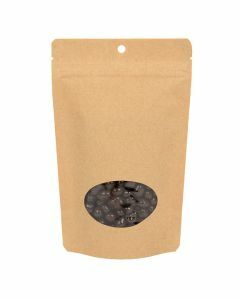 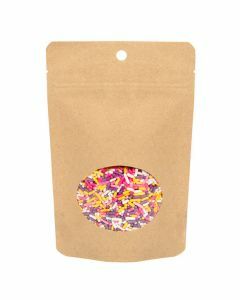 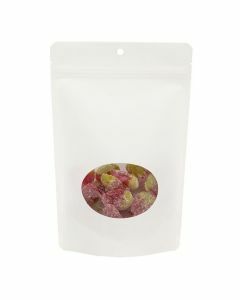 This pouch is made from 100% compostable materials and provides a high moisture and oxygen barrier. 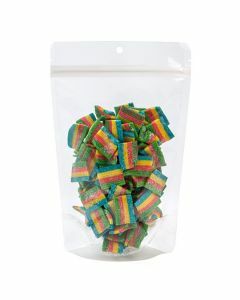 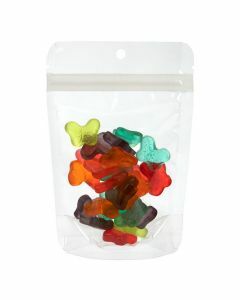 Includes a resealable zipper, tear notches, and a round hang hole.